Potable drinking water for the people of Newcastle, Lake Macquarie and the lower Hunter is sourced from the Chichester Dam and relies on an 80 km long pipeline, connecting the dam with the distribution network. The pipeline is operated by Hunter Water and passes under the Hunter River near the town of Osterly. Over time, the existing dual steel pipeline section crossing the Hunter River has suffered damage and corroded, requiring immediate action to reduce the high risk of failure. 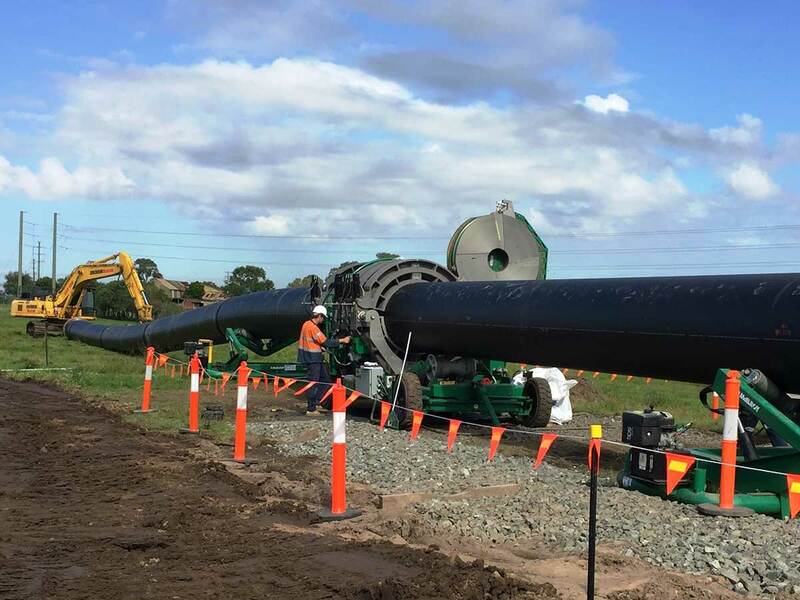 A safe and cost effective solution was chosen in the form of a dual 1200mm PN16 polyethylene pipeline installed by means of horizontal directional drilling. The pipe was made using Qenos Alkadyne HDF145B PE100 High Density Polyethylene pipe resin and was manufactured at Iplex Pipelines’ Albury plant. The 109 mm thick wall of the pipe presents a challenge to most PE100 pipe materials, which tend to slump during manufacturing of large bore pipes. Alkadyne HDF145B is designed to resist slumping and produced a pipeline with excellent dimensional stability that was manufactured at high production speeds. 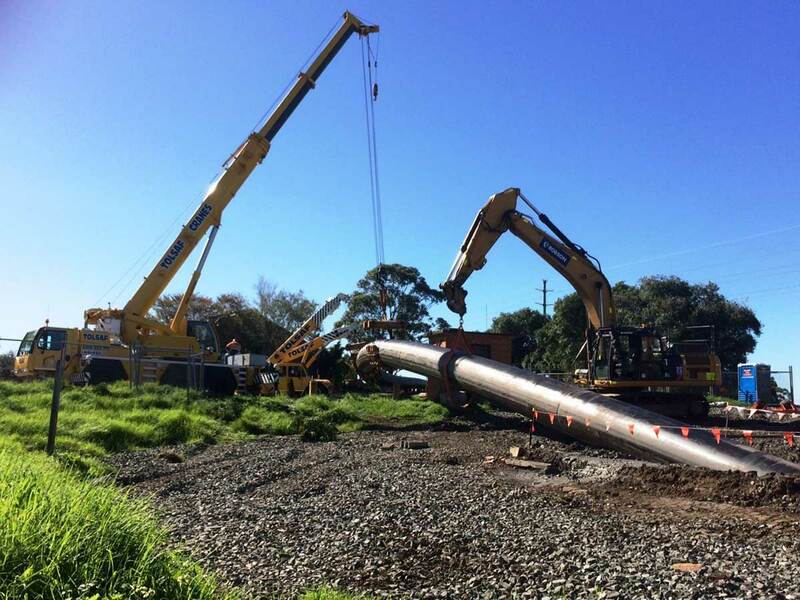 The ‘pull-through’ took less than 6h and when the PE100 pipe emerged from the drill hole, it was ready to connect to the Chichester Dam pipeline securing drinking water supply for the greater Newcastle region. The pipes arrived at the site in segments of 12 m and were welded together into two pipeline strings. The consistent wall thickness of the pipe and the latest technology welding machines ensured secure connections in less than 2h per weld. Two channels of nearly 300m long were established under the Hunter River using horizontal directional drilling. Each pipe string weighed over 100 tonnes and had to be transported to the borehole over a series of rollers and cranes. Once in place, the pipe strings were connected to the drill and dragged back through the borehole, commencing the underground journey to the other side of the river.